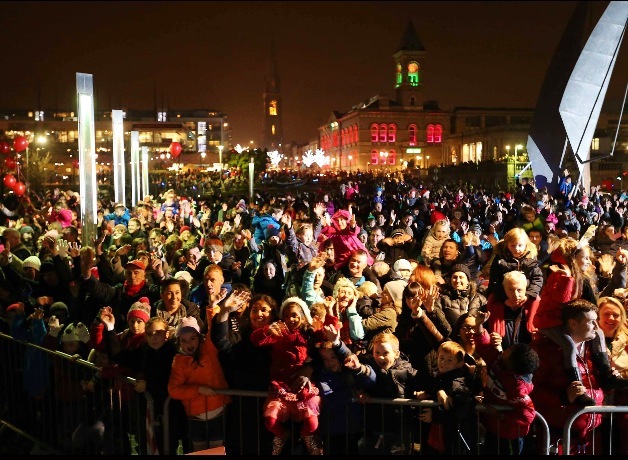 Dún Laoghaire Harbour will be transformed into a winter wonderland this Christmas with a programme of magical events taking place at the harbour from 26th November until 23rd December 2014. Families are invited to get into the Christmas spirit by attending many of the events this festival has lined up at the harbour. What could make Christmas more enchanting than meeting Santa Claus himself? Enjoy an unforgettable line up of entertainment as Christmas celebrations kick off with Santa Claus’s arrival at 5.30pm on Saturday, 29th November at Harbour Plaza. Then the Christmas lights will be switched on and a breath-taking fireworks display over Dún Laoghaire Harbour will officially announce that Christmas in Dún Laoghaire is underway. The magical lantern procession will see children of all ages light up the street from the People’s Park to the East Pier on Saturday, 20th December at 4pm. The handmade willow and tissue paper lanterns come in all Christmas shapes and sizes. The procession, led by a group of drummers, will take the following route: Park Road; Upr. Georges Street; Marine Road; Queens Road; and the East Pier. It will be followed by a spectacular Fireworks display from the East Pier Lighthouse at 5pm. • Christmas Market at the Pavilion Quarter and DLR Lexicon. • Traditional Crib at St. Michael’s Church. • Christmas Cookery and Craft School. • Santa Hat Record Attempt in aid of Barnardos. • Authentic German Christmas Decoration Stall. Speaking ahead of the Christmas Festival, Tim Ryan, Operations Manager at Dún Laoghaire Harbour Company said: “The Christmas season is a very special time of year. The Christmas Festival is one of the highlights of the year for the harbour and we are delighted to be a part of it. For more information on the Dún Laoghaire Christmas Festival 2014, please visit http://www.dunlaoghaire.ie/christmas-festival/.